Aaron has always been interested and active in many sports from a young age including Rugby League, skateboarding and Surf Life Saving. Through these sports he has enjoyed learning new skills and continuingly working to improve himself through fitness and technique. At around 17 years of age Aaron focussed on becoming the best Surf Boat Rower he could, which has lead to numerous state titles and representative achievements, 5 national titles (1 x relay, 2x under 23 Men, 2x Open Men Championships) and 1 x National representative honours at Open level. His success arises from his self-critical nature, always striving to be the best version of himself. Aaron was introduced to mixed modal programming through completing One Man One Barbell and its conditioning program that came with it. Aaron enjoys programming the EO3 protocol, which he programmed for his crew this year (2017-18 season), who went on to win the National title in dominant fashion. 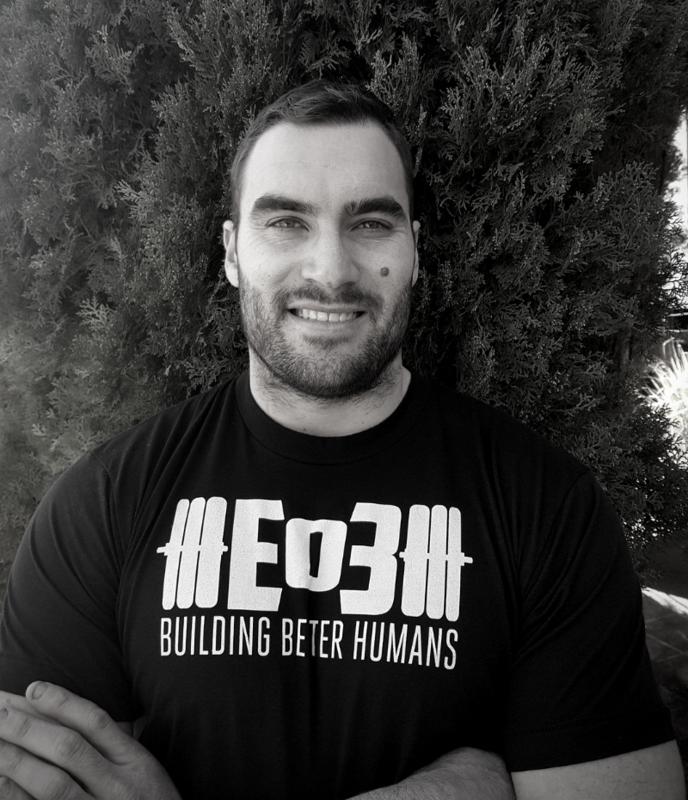 This passion for programming came to light after he slipped 2 disks in his back at the age of 18 and led to a change in his training regime to include assistance exercises and mobility as a key component, to keep the body strong and injury free all year round. This passion for fitness also incorporates nutrition as a key supporting factor to training. Macro counting, healthy eating and the benefit of having a naturopath as a wife further helps him stay illness and injury free. "Good better best, never let it rest, until your good is better and your better best"